A few years ago, my paternal grandmother passed away after a long and grueling illness – first battling breast cancer and later leukemia. She was a strong woman and put up a good fight, never letting her diagnosis or treatment keep her from enjoying everyday life. But, in 2014, the doctors ran out of options and she ran out of time. After a brief hospice stay, she passed away in early November – with grandpa holding her hand. Posted in How to make a funeral personal? 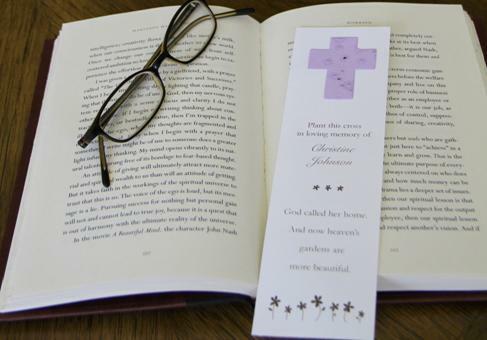 Hospices and hospitals often give small gifts or tokens of remembrance to family members or patients. 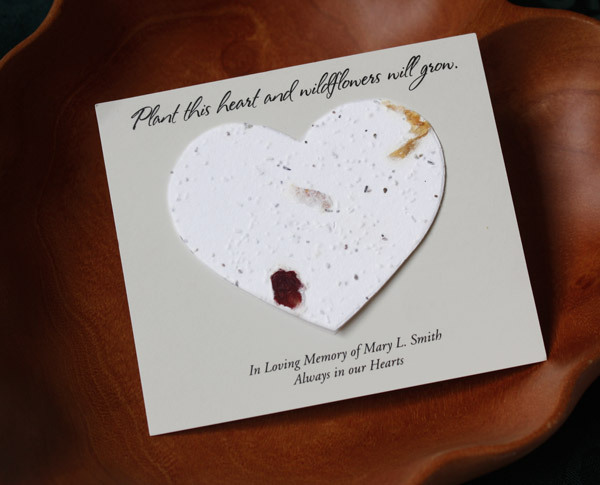 These gifts can help people grieve and give them a sense of community with other people who are attending the ceremony or memorial service. 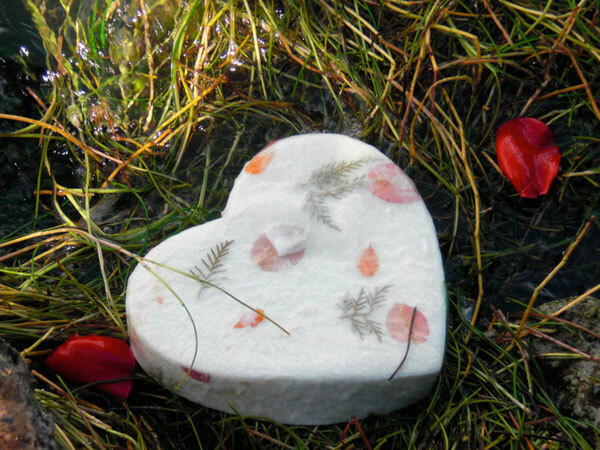 Natural items such as flowers or trees are very comforting because they grow and provide a living reminder of a loved one they may have lost. 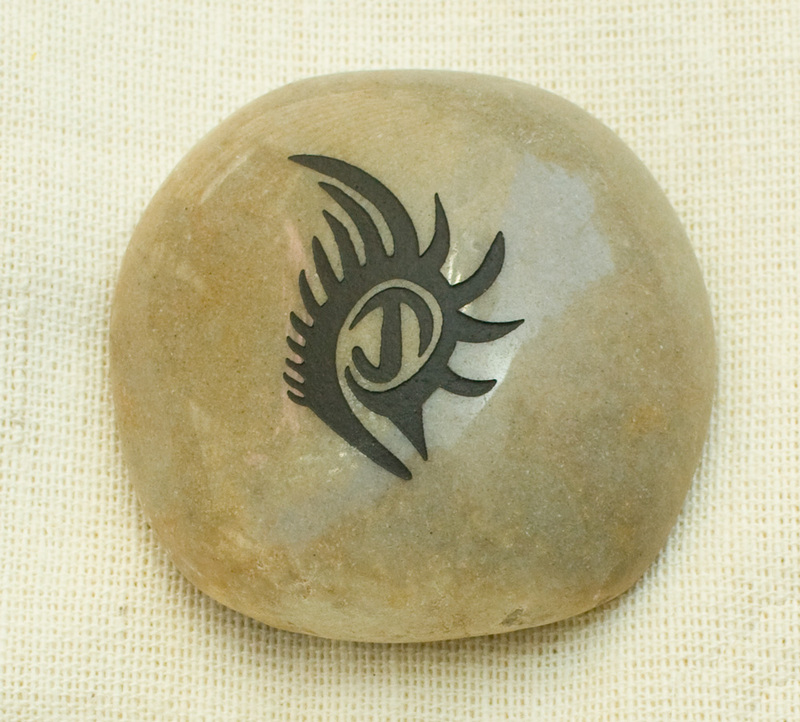 Memorial coins are another nice gift because they are small and have a sense of permanence. 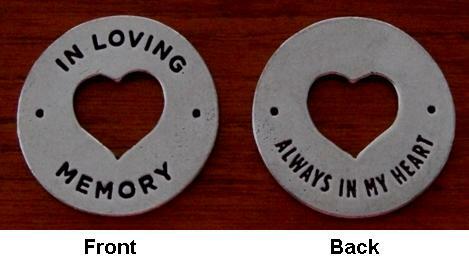 The memorial coins can be carried in a purse, pocket, or on a key chain. 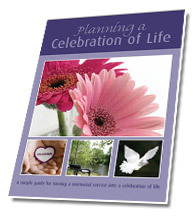 More information and ideas on hospice, hospital memorial gifts are available here. For more information on each item, click on the photo. 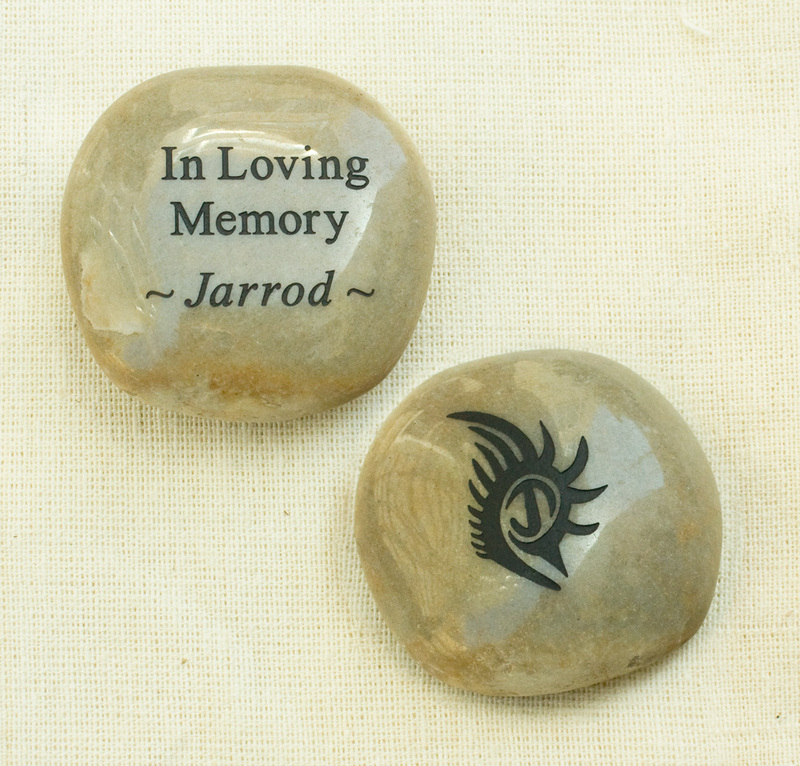 Memory stones and memory cards provide a great way to personalize a celebration of life. 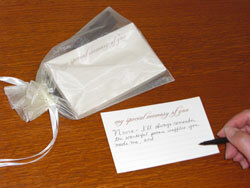 Memory tables are popular at funerals and celebrations of life. 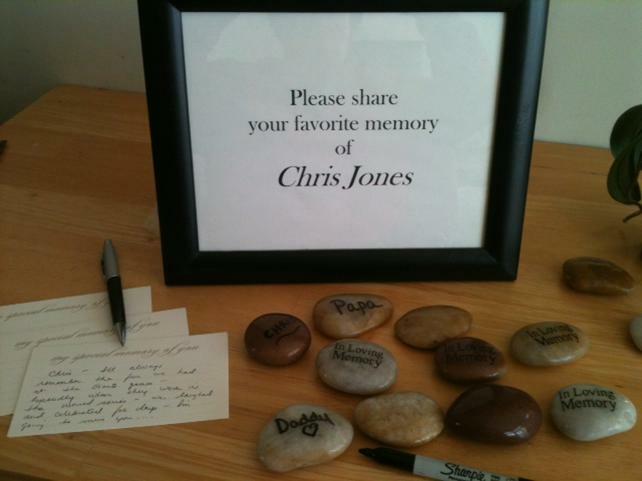 Why not make the memory table more personalized by adding memorial stones and memorial cards? 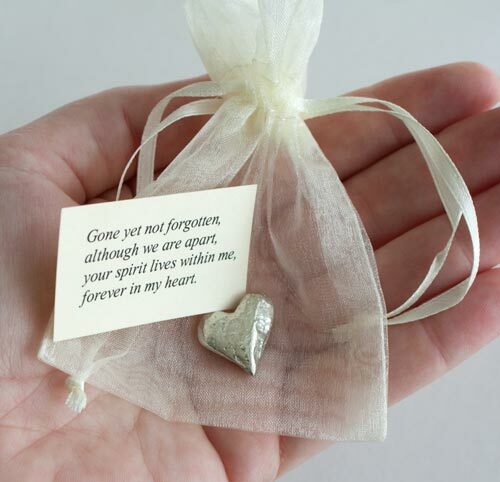 Funeral guests can take the time to stop by the table and contribute their own memories by writing on the stones and cards. We’ve had such growth in our funeral favors and sympathy gifts line that we’ve extended it to include two new metal pocket rings. The rings come in two styles; the heart rings say on one side “In Loving Memory” and “Always in My Heart” on the other. 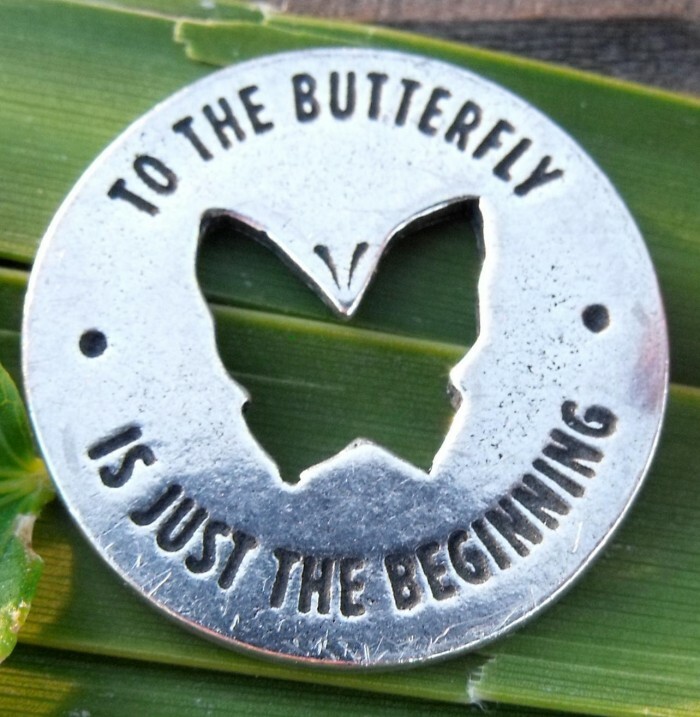 The second, the butterfly ring says, “What The Caterpillar Perceives As The End ” and the back says “To The Butterfly Is Just The Beginning”.